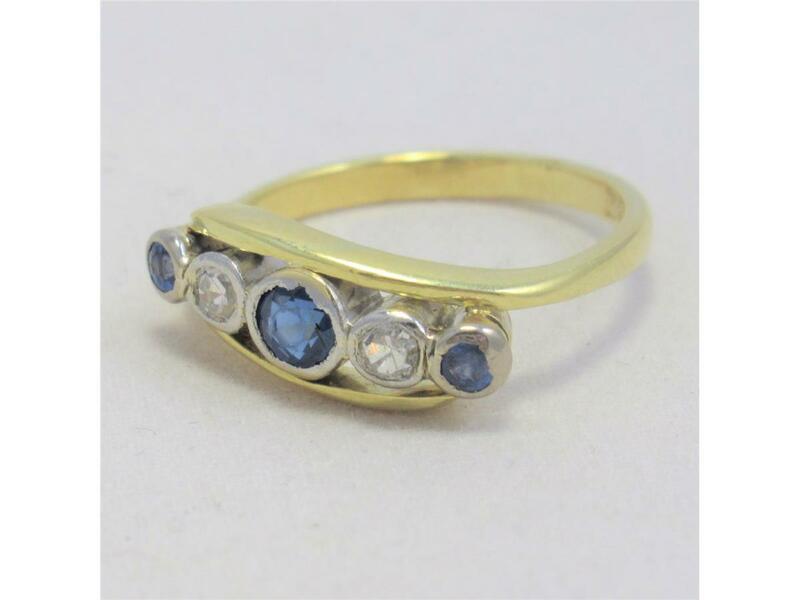 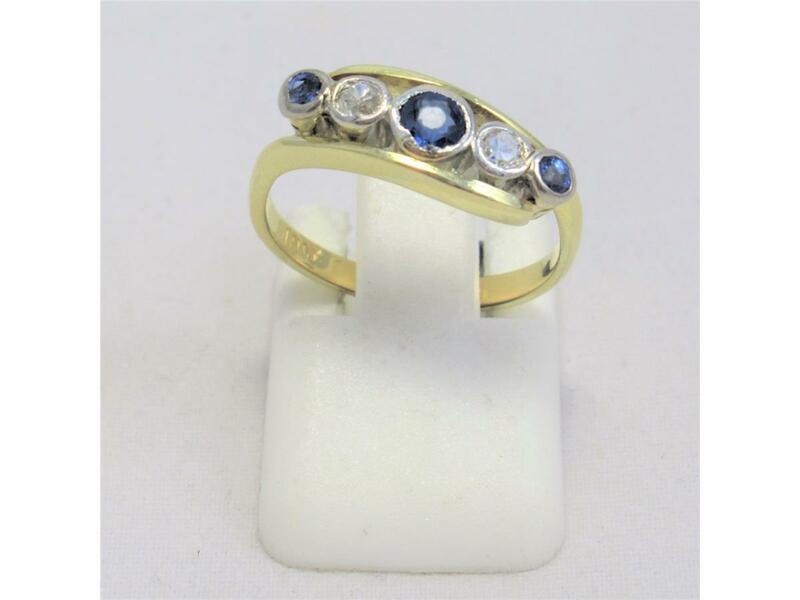 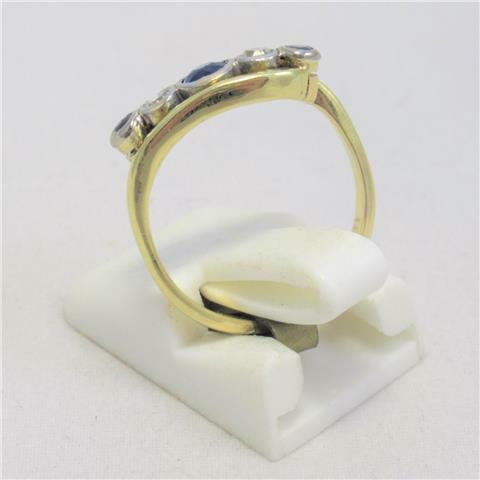 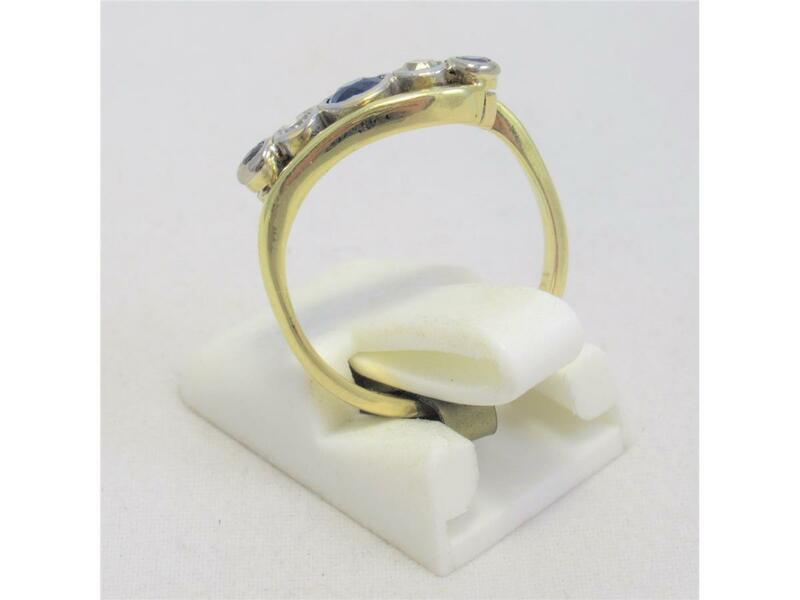 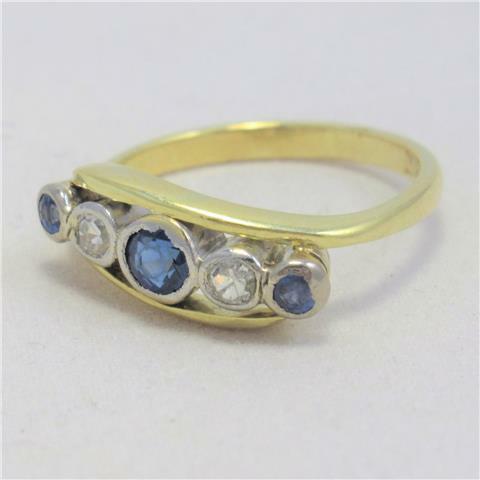 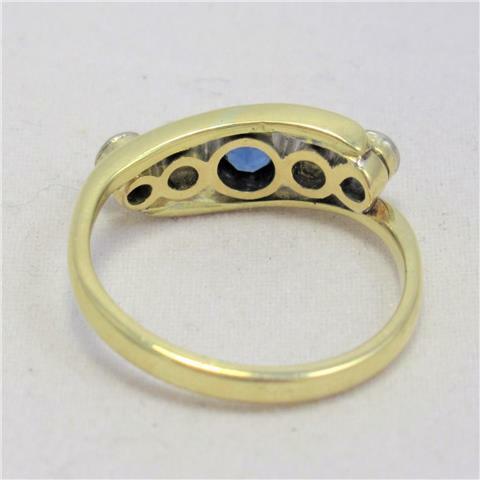 This stunning sapphire and diamond ring has been crafted in 18ct yellow gold. 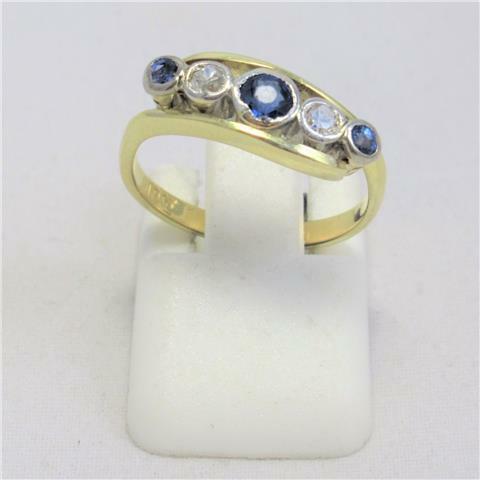 The ring features 2 round cut diamonds, complemented by the 3 round cut sapphires, all rub over set in a sweeping motion that has a great spread across the hand. 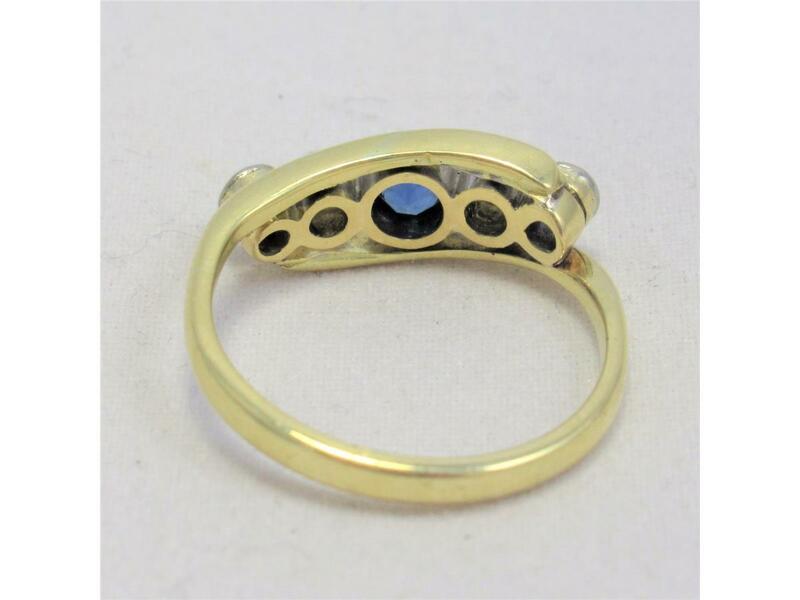 would make for a perfect gift for a loved one.